Approximately 22 miles Southeast of Van Horn, Texas. About 15 miles off of Hwy 90 on a well maintained road. This ranch is a large continuous cattle ranch currently running 400 AU with no supplemental feed. The ranch is well watered with modern solar wells, submergible, one windmill, several miles of pipelines, ample water troughs and storage. The solar will water the entire ranch as well as the house in the event of a power outage. The vegetation consist of native grasses: gramma grass, tobosa, cane bluestem, red lovegrass, and sacaton and native brush. Game includes mule deer, antelope, aoudad sheep, occasional elk spotted in the fall months, quail, dove, javelina, rabbits, various birds. The improvements consist of a 3 bedroom ranch house, barn, stalls, 3 sets of working pens, loading chute, scales on ranch. There is also a 2 bedroom house and mobile home that are not in use. There are several sections of State mineral classified. Seller will convey all fee mineral owned if any. 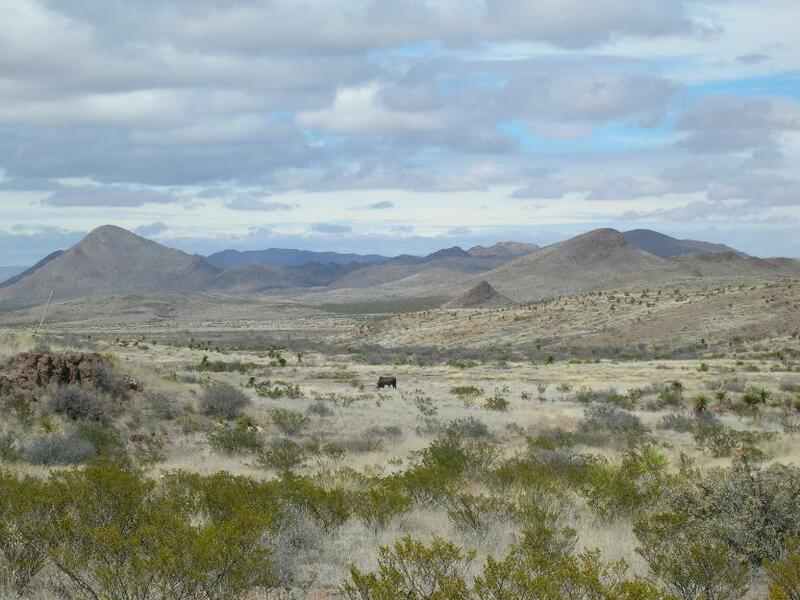 By Texas General Land Office there are 16,000 + mineral classified acres. While all information is deemed to be correct and reliable, no warranties, either expressed or implied are made by Campo Bonito, LLC. Purchaser should verify all survey boundaries, square footage and condition of property, subject to prior sale, withdrawal from sale or changes made by owner. Prospective purchasers should make their own investigations, projections and conclusions concerning the information.